Two brothers joined in blood and music founded Rica Obsesion. Dennis and Byron Calito from Guatemala; raised in Chicago, have the talent and ability to achieve in the music industry. They started playing music in church at a very young age, and were inspired by their older brother Victor. Both of them have had the privilege to perform and record with various local bands in Chicago. They have also performed with well-known artist such as, Gloria Estefan, Willy Torres, DLG, Eddie Santiago, Kevin Ceballo, Tony Vega, Van Lester, Yomo Toro, Alex D’Castro, Wichie Camacho, Frankie Negron and many more. Founded in 2005 by Dennis and Byron Calito, Rica Obsesion boasts an 11 piece orchestra with music full of energy, with a real heavy brass section, 2 front male line and a very powerful percussion section. Rica Obsesion has been known for having their strong and unique musical sound which makes them a very powerful salsa band here in Chicago. Their first Cd entitled “LLEGO MI TURNO” has been playing overseas, South America, Canada, Mexico. They also reached the number spot on the top 60 for the NEW GEN SALSA charts. Rica Obsesions ultimate goal is to show their love for music in their performance, to see and feel the excitement of the audience on the dance floor. 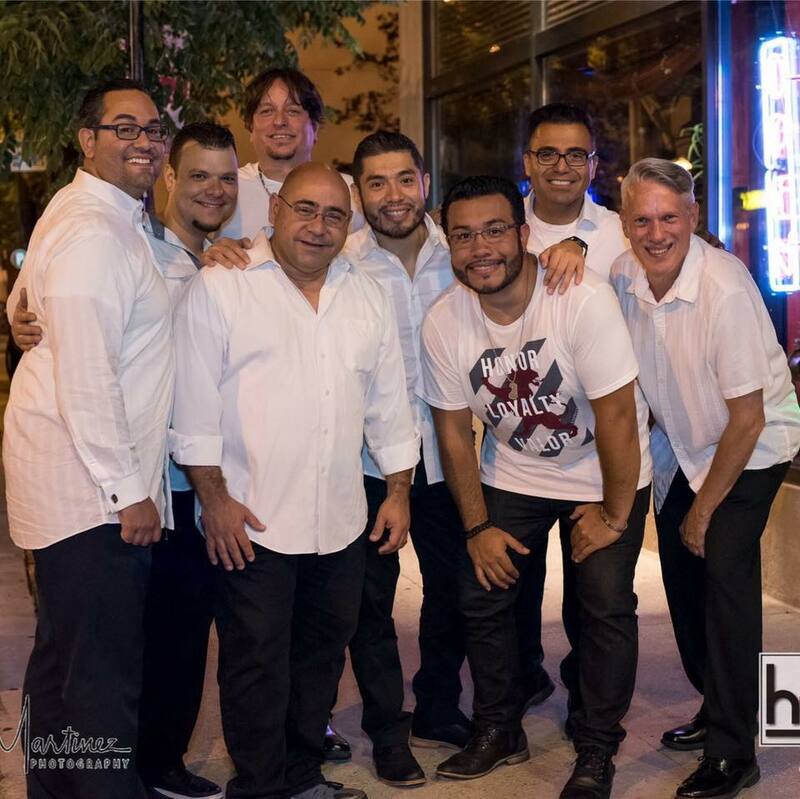 With a combination of great music and the best musicians in Chicago, Rica Obsesion is confident that their goals will be achieved and that they will be able to put Chicago back on the map for Salsa once again.